Hi lovelies! Today I have some nice bright nails to share with you as part of a Hobby Polish Bloggers link-up. Although I've been a part of the group for a while, this is the first link-up I am taking part in - how exciting! The theme this time around is spring which immediately makes me think of flowers. Here's what I came up with. As always, read on to find out more! 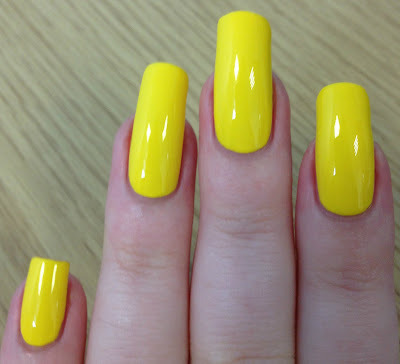 I started off with a base of Tux Polish 'Candy Corn', a gorgeous bright yellow (swatched here). I couldn't bring myself to take this off after swatching, and think it might even be my new favourite yellow. Shown below is three thin coats and topcoat. 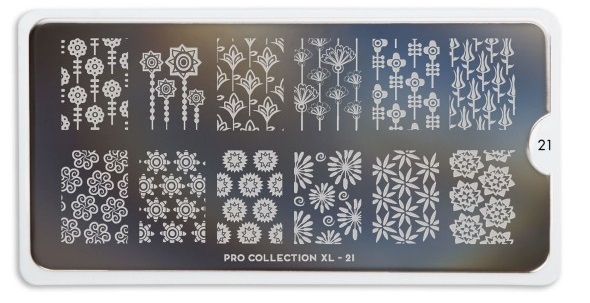 To find some flowers to stamp, I pulled out MoYou London Pro XL Plate 21 (online here). 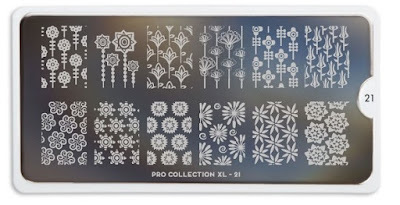 I really tried to pick a different design but I had to go for my favourite daisy pattern, last but one on the bottom row. I recently got my first two Hit The Bottle stamping polishes from my swap with Kirsty from FairyTales Nails (post here), so decided to try out the white, 'Snowed In'. 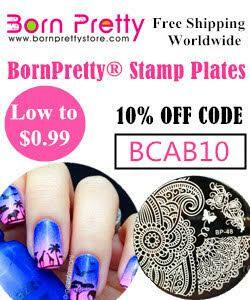 I had no problems at all and found the polish very easy to work with. I stamped the daisy pattern onto all of my nails. I then used Barry M 'Gold Foil' and a dotting tool to add gold centres to each daisy to make them pop. I left the dots to dry for a few minutes before finishing with a coat of topcoat. What do you think? 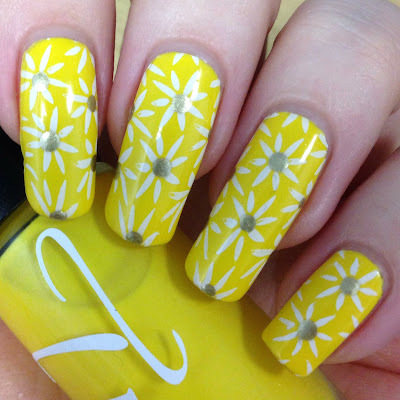 I can't wear a yellow polish without wanting to stamp white daisies! Today is supposed to be the first official day of spring and I think these are perfect to welcome the new season. I can't wait for the weather to warm up! What a bright yellow. Perfectly goes for spring manis. Simple n eligent mani. Very few people can pull off a yellow polish - and you're one of them! And the daisies were the perfect touch! Love that yellow polish! And the manicure is cute :) I will be joining later this month too. I love this design - and the yellow is the perfect bright polish for spring. it makes me want to go play in the sunshine! I loooove these! That base is so bright and cheery! That yellow!! I love the addition of the gold.